I don't know about you, but it was -10°F outside when I woke up this morning. None the less, I'm feeling like summer is just around the corner. Before you know it, we'll be heading back to Maker Faire Bay Area to see the latest in gear using tools like the FastBBP, an open hardware manufacturing controller built around BeagleBone Black's design. 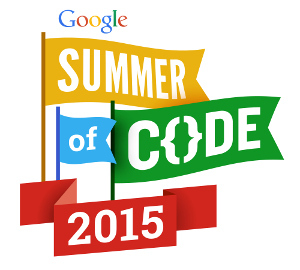 We'll also be seeing what students can create by participating in Google Summer of Code. Perhaps a student will extend the prototype of a BeagleBone UI I spoke about last month into a complete electronics learning lab. The question is, what are you doing to gear up for Summer projects? Google started accepting applications for potential mentoring organizations on February 9th and stops accepting applications on February 20th. BeagleBoard.org has submitted an application. Your help is needed to make that application as strong as it can be! Need some motivation and inspiration? Check out some of the cool projects that have been executed under BeagleBoard.org's mentorship under the Google Summer of Code in previous years. I've grouped them by some of the typical focus areas where BeagleBoard.org seeks to improve the status of open source software. How does BeagleBone Black compare to Raspberry Pi 2? As many of you might have heard, Raspberry Pi launched their next board, the Raspberry Pi 2. There have been noticeable differences in the primary processor performance from the original Pi to Pi 2. This has cause a lot of people to revisit the question of how the BeagleBone Black compares to Raspberry Pi. Hunyue Yau has been an active member of the BeagleBoard.org community from the earliest days. 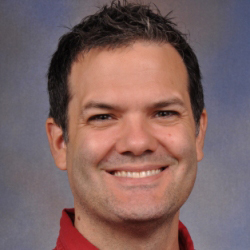 As an expert Linux consultant, he has a fair amount of expertise to share with BeagleBone users. John Oly and I spend a few hours this weekend putting together a SeeMeCNC Rostock Max v2 with BeagleBone Black and BeBoPr. We still have a few things to work out, but I wanted to jot down some notes here. 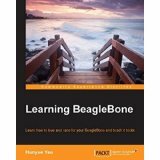 Pantelis has continued to patch the mainline kernel to support the device tree features needed to support BeagleBone capes. 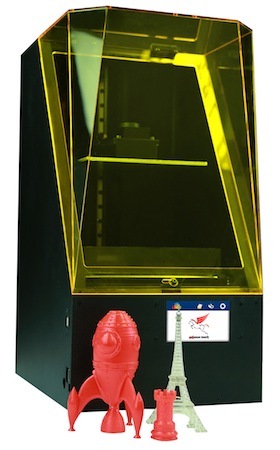 Did you know the Full Spectrum Laser Pegasus Touch stereolithography 3D printer is affordably built around BeagleBone Black? With bindings for FreeBASIC and C, libpruio makes it easy for programmers to take advantage of the PRUs to perform real-time I/O using the on-board analog-to-digital converters (ADCs) and pulse-width modulators (PWMs). It is even possible to use the capture module to measure the frequency and duty-cycle of a pulse train. The project includes all of the device tree configuration and PRU firmware, so you don't need to worry about programming the PRU yourself. Just kick back and use the simple API and a good number of examples to get all your real-time I/O, without writing a Linux driver or using real-time kernel patches.